On September 1, the renowned automaker Aston Martin announced the company will open the doors to their first-ever brand experience center. 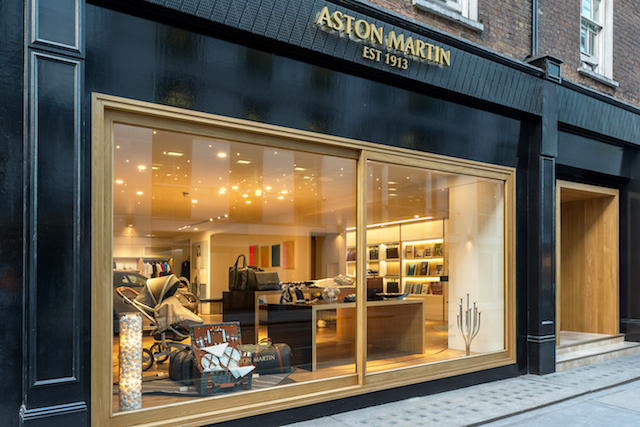 Located right in the heart of London, the space will be utilized to showcase various items and collaborations Aston Martin partakes in. The space will also be used to hold design master classes, exhibitions, dinners and exclusive events. A variety of artistic and creative elements went into designing this spectacular space. Guests who visit the center will be able to see first hand its luxurious aspects including the “Starry Night” light depiction on the ceiling fashioned with LED lights, a mosaic floor made out of oak, a brass plaque of Aston Martin’s wing emblem, paintings by Vezzini and Chen and much more. Guests can now visit the Aston Martin Brand Experience Center seven days per week. Please click here for more information www.astonmartin.com.